Jim gives sawdust from his wood shop to Steve, who has the garden across the street. 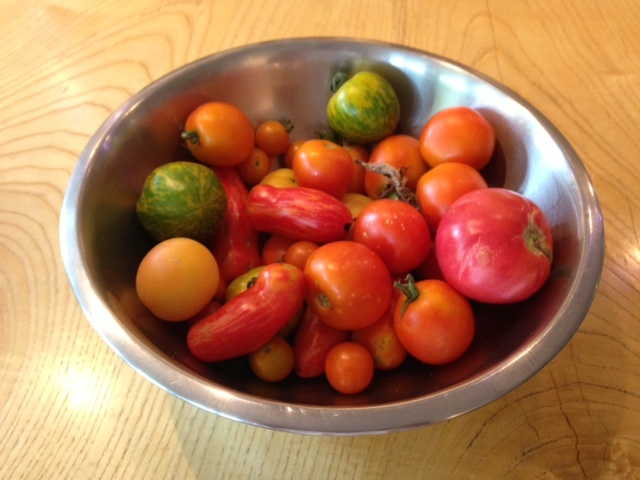 Steve just brought us two big bags of his heirloom tomatoes, raised from seed with love. Forget about the little ones, they are so sweet and bite size that they won’t last the day. But the others- soft and creamy, firm and fleshy, variegated and delicate, each a prize in its own way.